Adelaide is a city I have always wanted to visit. Yet, for whatever reason, I’ve just never quite made it there – until now. After a recent visit, I’ve realised just what I’ve been missing out on. 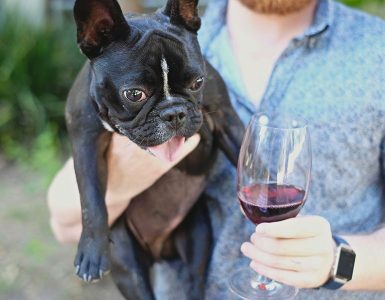 From award-winning restaurants to trendy hotels, a gritty urban arts scene, more than 200 nearby wineries and small-batch gin distilleries aplenty, Adelaide is actually awesome. 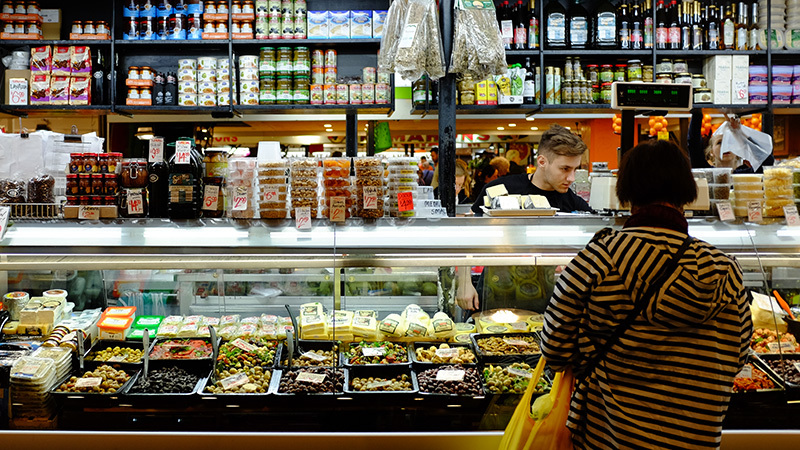 Though long overshadowed by other cities, Adelaide boasts one of the most well-developed food cultures in Australia – and Adelaide Central Market is the heart of its gourmet scene. When I told friends I was planning to visit the city, Central Market was the one place they all said I should visit. Conveniently, it was located right next door to Adelaide Hilton – an iconic five-star hotel located on Victoria Square and my home for two nights in town. 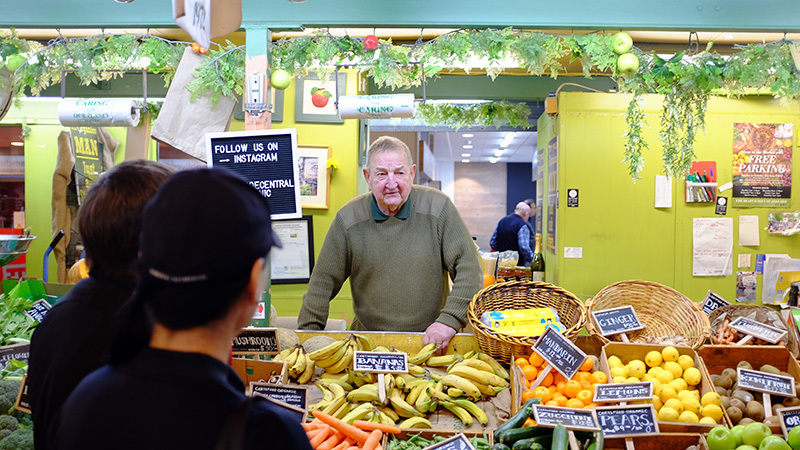 Established in 1869, Adelaide Central Market is a much-loved local institution. 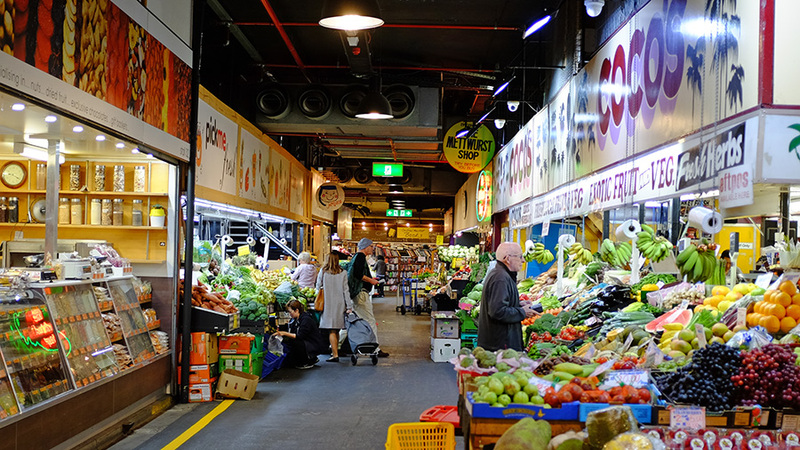 With 70 traders under the one roof, many of them family-run stalls that have been here since day dot, it’s one the largest fresh food and produce markets in the Southern Hemisphere. 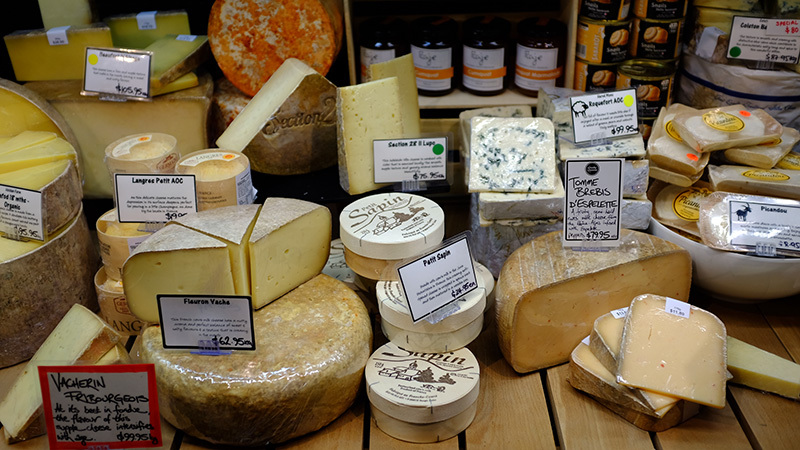 Fruits and vegetables, meat and poultry, seafood, cheeses, baked goods, small goods – it’s a one-stop shop with pretty much everything you could possibly need for a gourmet feast. 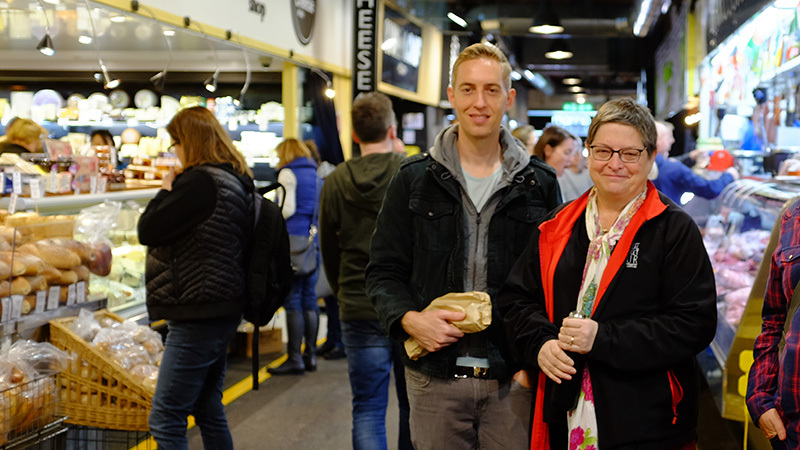 Cheryl Turner is one local foodie who lives and breathes the Adelaide Central Market. 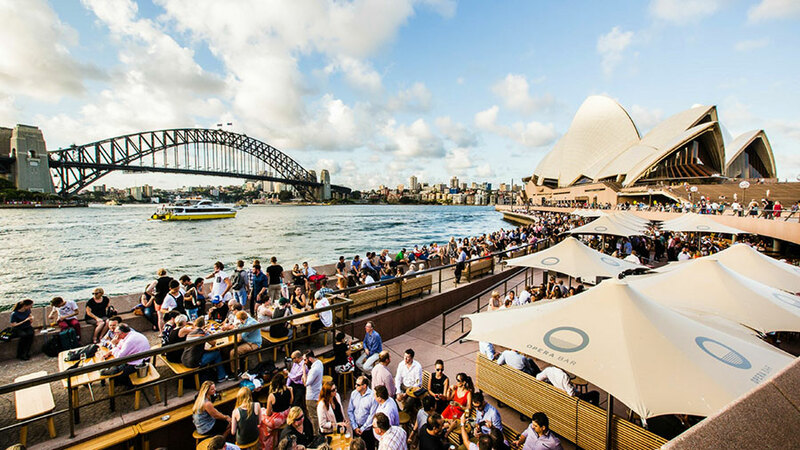 A tour guide for Food Tours Australia, Turner is passionate about sharing the story of the market and its stall holders, as well as showcasing its produce sourced from across the state. After meeting Turner by the Providore stall, the small group and I set off on a walking tour of the market. With seven years as a guide at the market, she knows the people, the stories, and the hidden gems. Yet, her love and passion for the market goes back much longer. The first thing you notice about the market, and what makes it stand out from the many others around the country, is its dedication to food. There are no t-shirt stalls, no knick-knacks for sale – just people selling the produce they either grow or source locally. There are also a number of restaurants and takeaway stalls throughout the market, adding the colour and atmosphere of the market. Lucia’s, a family-run business which was the first to introduce pizza to Adelaide more than 60 years ago, is one of the icons of the market. As we looked inside Lucia’s seeing the original menu that remains unchanged behind the counter, Turner shared a story of the ‘Spaghetti Men’, a local group she says have been enjoying the restaurant’s famous spaghetti every Wednesday for over 25 years. It was a brief story that highlighted just how deep-rooted the market is in daily life in Adelaide. A few of the standout stalls include Samtass Seafood, fourth generation fishmongers specialising in fresh, smoked and pickled products; Nut Carousel, who Turner says make ‘the best roasted almonds in the world’; Something Wild, who specialises in indigenous produce such as crocodile fillets, kangaroo tail, camel sausages, and even green ants; and the House of Health, which sells a huge range of organic foods, bulk honeys, and nut butters. 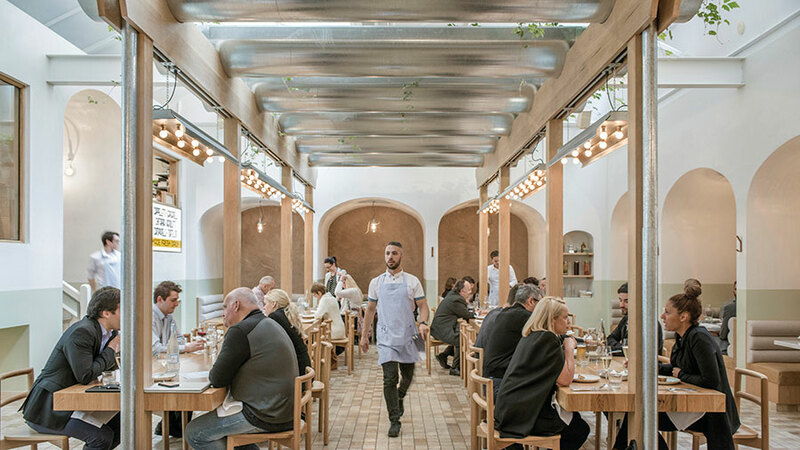 Beyond the market, the greater city of Adelaide has been slowly transforming itself into a complete gourmet destination, particularly over the last five years. New restaurants and eateries have popped up across the capital, with many achieving national recognition. Orana, which uses native ingredients such as bunya nuts, green ants and quandongs, was recently named Australia’s Restaurant of the Year 2018 by Gourmet Traveller magazine. Adelaide will never topple the dining meccas of Sydney or Melbourne, but it doesn’t have to. It’s playing its own race, celebrating and showcasing the uniqueness of South Australia. Though this was my first trip to the city, it definitely won’t be my last. Shhhh don’t tell the world about Adelaide, we love to keep it a hidden gem. Glad you enjoyed your time and hope you also got out to see some of the amazing beaches and wineries as well. I certainly visited my fair share of wineries, sadly no beaches this time around though. It’s a good excuse for a repeat visit!